My newest hobby and venture has been couponing. I used to watch “Extreme Couponers” and wonder how these women put so much time and effort into couponing, spent hours in the store with a big binder, calculating different items and trying to find the best deals. Although I haven’t dedicated every waking moment to it, I have put some significant hours into it this past weekend and I can say that couponing is not for the weak and lazy at heart! You have to be diligent, aggressive and hungry for the deals! I have gone on a few couponing trips and it’s pretty fun to me! I also have my husband into it as well and we love finding a good deal and anticipating hitting up the store to cash in! Since we are a new family (our daughter just turned 1), our main focus is diapers and wipes. We also coupon for laundry detergent, toilet paper, paper towels, toothpaste, toothbrushes, body wash, feminine and masculine hygiene products, etc. We don’t really buy a lot of candy and other random things because we feel like if we don’t need it, no need to buy it (UNLESS I can get it free, then I can get it and donate it to someone who might need it). We also coupon for grocery items, but most times it is household, hygiene and baby items that we get the best deals on. Favorite Coupon Site: So far, coupons.com has been pretty awesome with having the printable coupons that I need. I have searched several different sites, and most times, they all lead back to coupons.com. Buying Coupons: I have gotten into the idea of buying specific coupons, especially if I can see a preview of what will be in the Sunday paper. If I cannot find enough coupons that will benefit me buying a paper, I will buy separate coupons. I have been buying from klip2save.com, which is pretty cool. I get my coupons within 2-3 days, and they have coupons as low as .06 on their site! Favorite Store to coupon: PUBLIX!!!! I have become a Publix addict. At first, I thought what most people think; Publix is too high. But if you pay attention to the BOGO free, and add that with coupons, you are in there! Plus, some Publix will allow you to double your manufacture coupons, and you can stack Publix store coupons with manufacture coupons. So, just imagine: Buy 1 get 1 free, plus a Publix coupon and a manufacture coupon on top of that? You are GOLDEN! Here is a pic of my last haul. 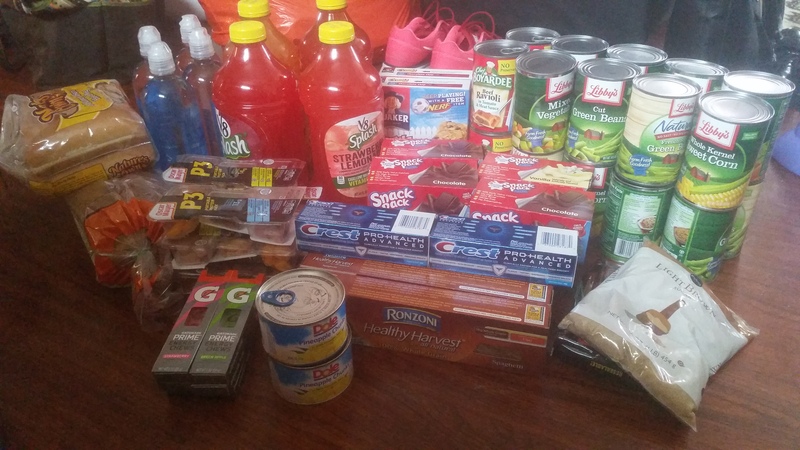 It was personally my best one because I bought a total of 58 items, for 48.16! That’s about .83 per item! !